What is “full spectrum” hemp? “Full spectrum” hemp means we use the entire plant in our extract and don’t isolate just one molecule, as CBD-only products do. Our extract retains all the phytocannabinoids, phytonutrients, terpenes, vitamins and fatty acids found in the hemp plant, but none of the THC (the psychoactive compound). Our proprietary extraction and purification methods combine Supercritical CO2 extraction combined with cold, enclosed and continuous manufacturing process using chromatography which prevent the degradation of the delicate plant compounds. With our proprietary methods, we are able to gently remove the THC (psychoactive compound) without disturbing all the other important plant molecules and prevents the degradation of the compounds during extraction and purification. PhytoLogica’s full spectrum phytocannabinoid rich hemp products are very potent in Cannabidiol (CBD) and also contain all the other beneficial properties of the hemp plant, including Cannabigerol (CBG), Cannabinol (CBN), and Cannabichromene (CBC), as well as terpenoids, essential amino acids, enzymes, flavonoids, vitamins and essential fatty acids. CBD works as the switch that turns on the regulatory system in the body called the endocannabinoid system (ECS) . The phytocannabinoids in PhytoLogica activate pathways and mimic the profiles of chemical structures produced by the human body called endocannabinoids. Endocannabinoids interact with receptors in the human body’s endocannabinoid system with a kind of “lock and key” function. 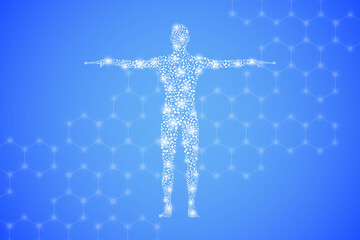 The endogenous cannabinoid system, or ECS, is a recently discovered system of naturally occurring cannabinoids and cannabinoid receptor sites throughout your entire body! This function may promote a state of “Homeostasis”, which is the ability of the body, cells and organs to seek and maintain a state of equilibrium or balance with its internal environment when experiencing external changes (an example of this is the body’s ability to maintain an internal temperature of 98.6 degrees even when the outside temperature is below zero). It is through this powerful system that CBD can do it’s magic, but we cannot make any medical claims. We encourage you to do your own research. Terpenoids are dried Terpenes, the properties in plants which impart their unique scent, color and flavor. Terpenes are the source of a plant’s essential oil and resin. The Hemp plant contains over 200 terpenoids which are believed to enhance the effectiveness of cannabinoids, by interacting with a range of cell receptors and enzymes. This suggests that terpenoids act as supporting substances for cannabinoids. One of the most studied and promising terpenoids in Hemp is beta-caryophyllene (BCP), which has been widely researched for its promising effect on mood, inflammation and neuropathic pain response. There are 85 identified cannabinoids in the hemp plant, including CBD. Cannabinoids are a class of properties in hemp which attach themselves to certain receptors in the human body. Hemp extract contains many common vitamins that occur naturally in foods, like vitamins A, C, E, B complex vitamins, and beta carotene. It also contains the minerals zinc, potassium, calcium, phosphorous, iron and magnesium. Hemp extract includes all 20 amino acids, which build protein, including the 9 essential amino acids our bodies cannot produce on their own. Additionally, hemp contains an important fatty acid called gamma linolenic acid (GLA), whose unique chemical structure and fatty acid balance can reduce the negative effects of a high fat diet. PhytoLogica hemp products can be taken as oral soft gels, sublingual tincture or applied as topical balm for targeted therapy. We offer these different forms to ensure that there is enough of our Hemp extract available in systemic distribution or locally to show its desired effects. The cannabinoids in Hemp are highly lipophilic, which means they’re absorbed by fats and are not easily soluble in water. This means that the properties in hemp may have difficulty getting into your bloodstream, especially when taken orally as a traditional capsule or gummie. 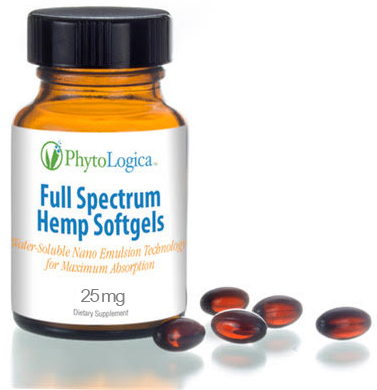 Our hemp soft gel formulation is 4X more bioavailable than traditional capsules. *These statements have not been evaluated by the Food & Drug Administration. This product is not intended to diagnose, treat, cure or prevent any disease. FDA has not evaluated this product for safety or efficacy. The human body contains a high abundance of capillaries below the tongue, offering easy access to the bloodstream by compounds in liquid form. Sublingual delivery -meaning under the tongue – substantially increases absorption and makes these compounds quickly available. PhytoLogica offers hemp extract as a sublingual tincture in 3 different potencies to fulfill dosages based on your needs. Phytologica offers a patent-pending technology which delivers our hemp extract as a water soluble microemulsion formulation in soft gel capsules. This technology enhances blood absorption up to 400% above traditional capsule or soft gel form. 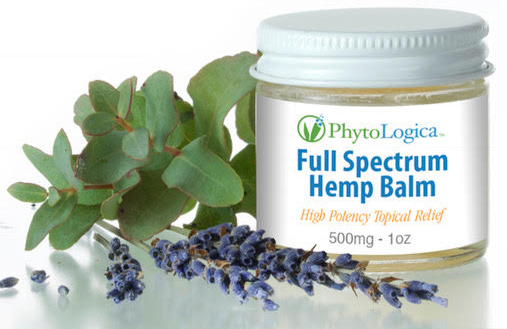 PhytoLogica offers a local topical high potency hemp extract formulation as a salve balm. Apply wherever you need external relief as often as you wish. You can use as targeted pain and inflammation relief or for severe dry skin conditions.